The putAttachment() method is used to add a binary object to a document in PouchDB. To use this method, you have to pass the document id, attachment id, MIME type along with the attachment. This method also accepts an optional callback function. Blob or buffer object is used to prepare attachment with documents. Blob is used while working with browser and buffer is used while working with Node.js. Here we are using Node.js console so we will use buffer object. Let's take an example to create a document with an attachent in a newly created database "New_Database". The above example will create an empty document adding an attachment to the database named "New_Database" which is stored in PouchDB. Use the following code to verify if the attachment is added. Now add an attachment to this document using its _rev value. 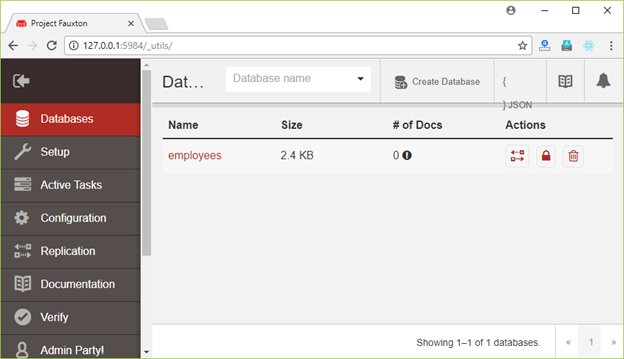 You can also add an attachment to a remotely stored server (CouchDB). You just have to pass the path to the database in CouchDB, which contains the document where you want to add your attachment. 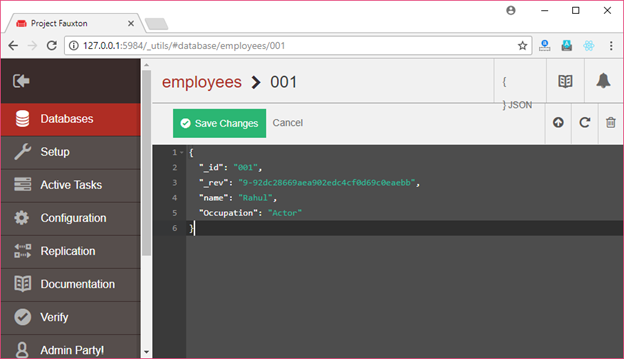 We have a database name "employees" stored on the CouchDB server. There is one document in the database, having id 001. 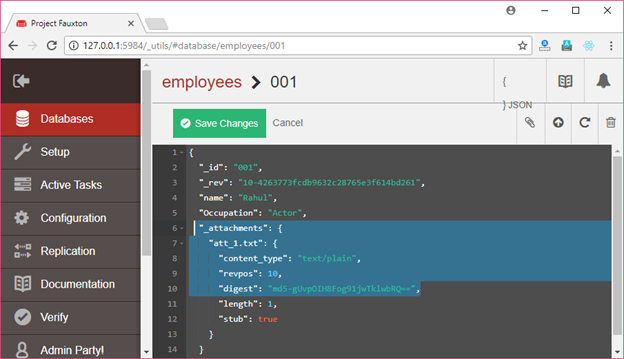 Add an attachment to the document 001 stored in a database named "employees" which is stored in the CouchDB server. Go to CouchDB server and you can see that attachment is added with the document.